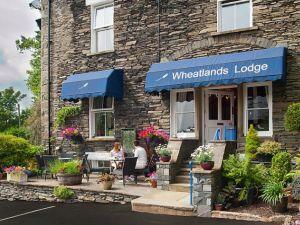 Wheatlands Lodge sometimes limits bookings to 2 or more days. Children are accepted from 16 years. Double bed, en-suite shower, Wi-Fi, tea and coffee making facilities, hairdryer, TV. Single let is £10 reduction. No children under 16. Club sometimes limits bookings to 2 or more days. One four poster bedroom and one king sized bedded room. Garden views. Deluxe sometimes limits bookings to 2 or more days. King sized and super king sized rooms. Roll top bath with separate shower or jazuzzi with shower above. Master sometimes limits bookings to 2 or more days. Superior Club sometimes limits bookings to 2 or more days. 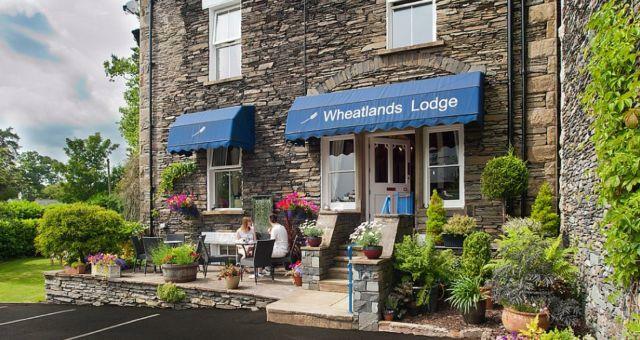 Wheatlands Lodge is a former Victorian gentleman's residence decorated in a contemporary style yet still retaining the original features. We have ample private parking, gardens and are in a peaceful setting off the main road. Only a short stroll down to the lake near to all the shops, restaurants and train station. Our aim is to make guests feel welcome and comfortable in our friendly environmnent. Children welcome from age 16. Leave M6 jct 36 and follow signs for A591 to Windermere. Turn off A591 into Windermere town centre, after traffic lights we are second turn on the right, by Hackney & Leigh Estate Agents and Hooked fish restaurant. We are about 100 metres on right down Old College Lane.